22.10.2018: In the finale of the VLN Endurance Championship Nürburgring, the new evolution of the Audi R8 LMS experienced its second appearance. In the finale of the VLN Endurance Championship Nürburgring, the new evolution of the Audi R8 LMS experienced its second appearance. Marcel Fässler and Frédéric Vervisch won this classification with a 4.36-minute advantage. In addition, Frank Stippler recorded a class title. 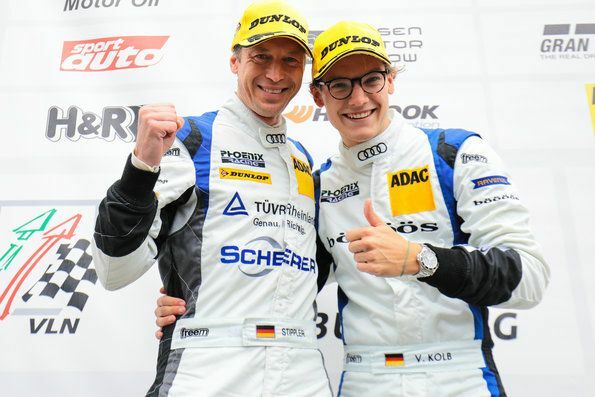 The Audi Sport driver who drove an Audi R8 LMS from Phoenix Racing this season won the championship in the SP9 Pro class this year ahead of 89 other professional drivers. VLN: Walkenhorst Motorsport finishes third in the BMW M6 GT3.